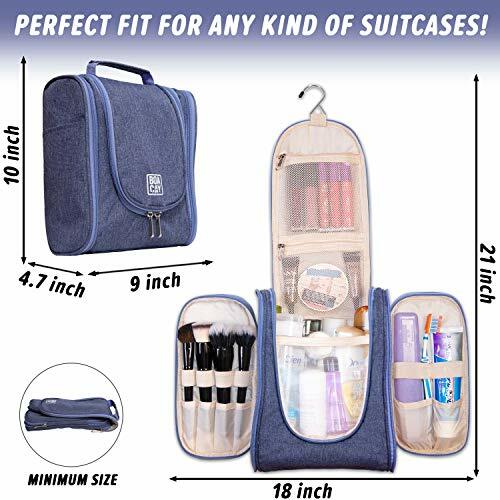 BOACAY’s Hanging Toiletry & Makeup Bag will help you quickly organize all your travel products and take away the pre-departure exhausting stress. Stress & Travel don’t go well together > the last thing you want during your trip is for your bag zippers to break – this won’t happen with our METAL smooth gliding zips! Save time & Invest it in Yourself > time is precious & we can’t waste it – keep everything organized in a single spacious but compact travel bag! No Leaks = No Mess > the vertical pockets hold bottles & brushes uptight, the zipped holders keep your makeup in place while the exterior is waterproof – 3X Protection leads to 3X Safety! 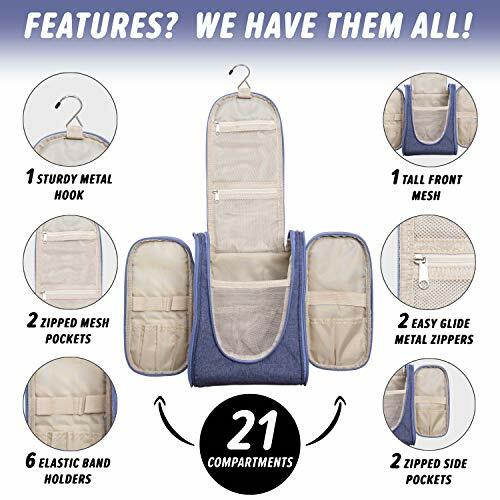 Receive the Value & Quality Promised > our violet blue unisex toiletry organizer is made of Eco-friendly materials with no chemical scents and the metal hook can easily clasp your full bag anywhere! Buy it once, Have it Forever – We guarantee your 110% satisfaction! If you are not satisfied, please contact us and we’ll replace it for free or refund your money! No questions asked! No hassle! A smart person once said: We were Born to Wander – We say: SO, BE IT! 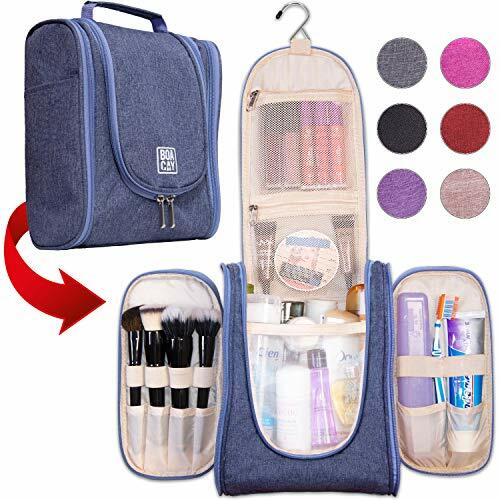 Add the Travel Toiletry Bag to cart and make your next vacation feel like a stress-free dream!  A PERFECT GIFT FOR YOU OR YOUR FRIEND! 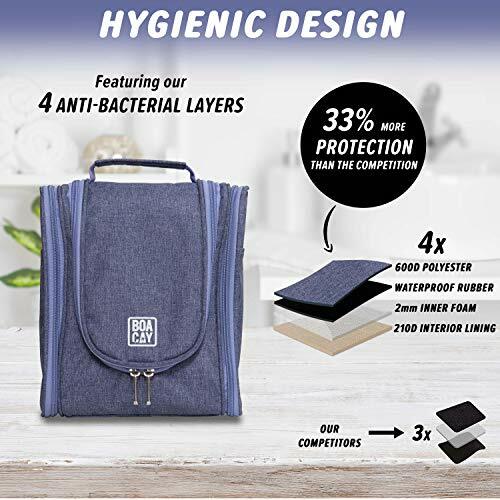 If you are looking for an amazing gift idea that has that “extra-cool and innovative” WOW factor, then you will love the BOACAY Travel Toiletry Bag. The Violet Blue SLEEK design & colors are SUITABLE for any men or women while the multifunctionality makes it an ESSENTIAL accessory for an avid traveler. – KINDNESS IS THE LANGUAGE!  OUR MISSION IS TO OFFER AN EMPOWERING LIFESTYLE – We are real people who use our own products daily. We expect the best for our family and want the same for yours. That’s why we wanted to design a product which takes away ALL YOUR WORRIES. 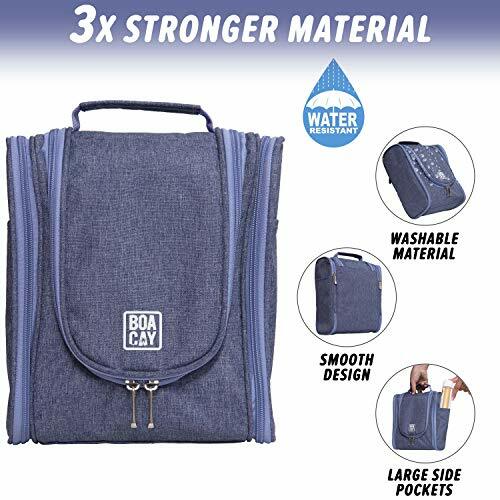 Our Hanging Bag is WATERPROOF, washing resistant and features a FOAM LAYER for additional bottle protection. Above all, the compact but tall case (9×4.7×10″) is TSA APPROVED, so you don’t have any issues while traveling. – WE RISE BY LIFTING OTHERS! 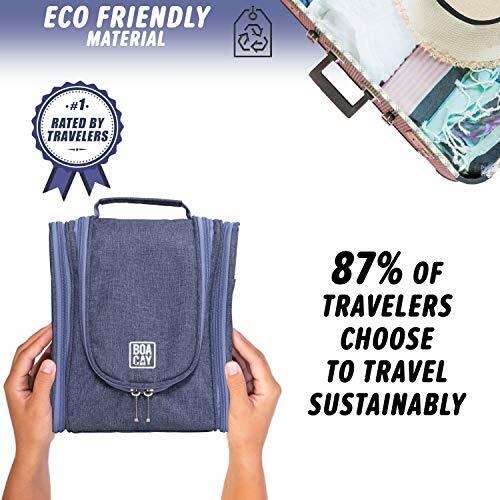  YOUR SATISFACTION IS GUARANTEED…We pride ourselves on providing only 100% Eco-Friendly products and amazing UNITED STATES based customer service for our community of travelers. We created our Luxury Toiletry & Makeup Bag with EXTRA CARE and attention-to-detail to provide the most ORGANIZED travel experience. You can add our Toiletry Bag to your cart with total peace of mind, knowing that if you aren’t 110% happy with your purchase, we’ll provide you a FULL refund.